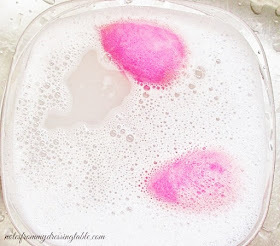 Regular exfoliation is crucial to smoother, softer, healthier skin. It aids in cell turnover and by sloughng off excess dead skin cells, my skin looks and feels smoother and it can more easily absorb more of the beneficial ingredients in my skin care. I like to exfoliate well a couple of times a week. 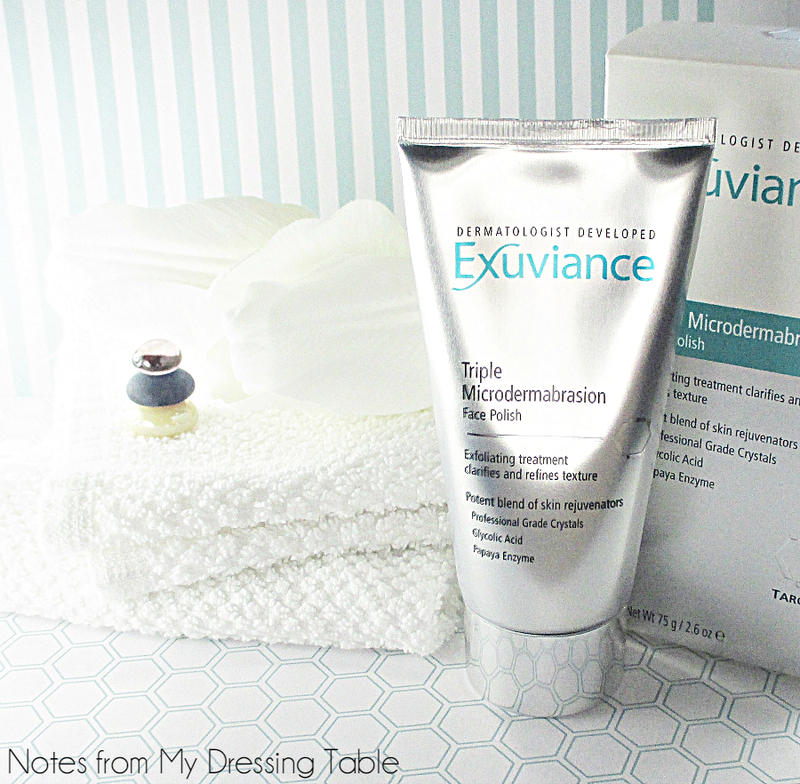 My current favorite exfoliating treatment is the Exuviance Triple Microdermabrasion Face Polish, This is a luxurious, triple threat that combines mechanical and chemical exfoliation to reveal softer, brighter, more even toned skin. Grade Crystals Smooth away dead skin cells. 10% Glycolic Acid This Alpha Hydroxy Acid chemically exfoliates, evens tone and brightens. Papaya Enzyme A fruit acid that further exfoliates, brightens and evens overall skin tone. Our latest antiaging breakthrough masters a triple action approach to skin renewal in a single, yet powerful treatment with a unique blend of physical, chemical and enzyme rejuvenators. With just one application, this intensive exfoliating treatment delivers instant skin resurfacing. Contains pure professional grade crystals used by dermatologists to smooth skin. Feel this potent exfoliator working as Papaya Enzyme and Glycolic Acid help dissolve impurities that contribute to congested pores, and loosen dead skin cells and dull and dry patches, polishing skin to a gorgeous silky softness and glow. Cell renewal is stimulated, encouraging skin to renew itself. With consistent exfoliation, once or twice a week, skin will be clearer, brighter with reduced appearance of pores and dark spots. Regular use helps increase the performance of your cosmetic treatment products. For best results, complete your facial with an Exuviance concentrated serum or antiaging moisturizer. This orange, somewhat citrus scented treatment is easy to use and powerfully effective. The directions say to apply the treatment, gently rub in a circular motion for about thirty seconds, leave on the skin for up to one minute then rinse. I admit that I am a rebel and like to do things my own way. I apply some of the Triple Exfoliation Face Polish and scrub until the base turns from white to clear. I rinse that off, then apply a bit more, scrub it until it turns white then I leave it on for a couple of minutes, give another scrub and rinse, again. My skin feels so smooth, silky soft and stays that way for days. I am loving the results I am seeing from this treatment. I would like a fifty-five gallon drum delivered to my front door, please. If you would like to try this fantastic facial treatment you can find it and a wide selection of beautiful and effective skin care on the Neo Strata Website. 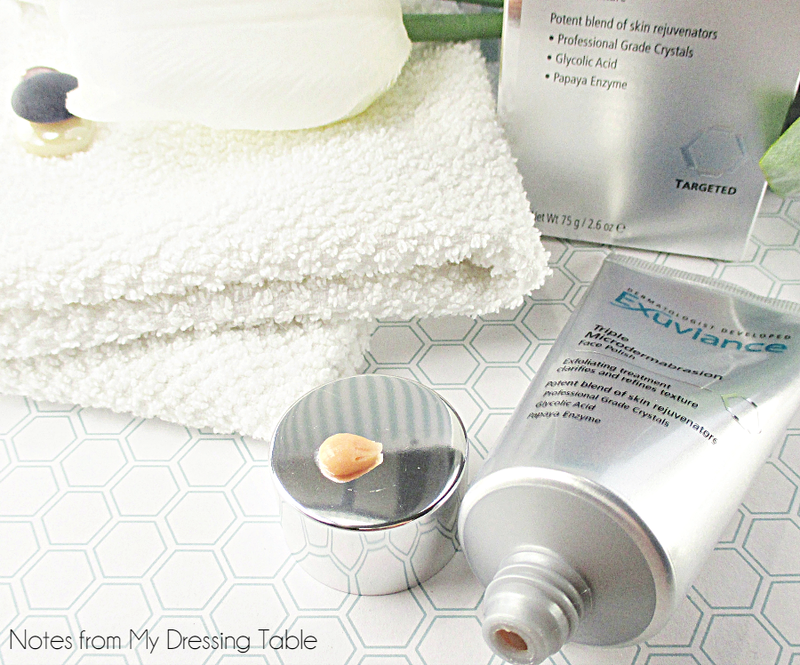 The Exuviance Triple Microdermabrasion Face Polish is $72.00 and it is worth every penny. Follow NeoStrata on Twitter, Facebook and Google+ for the latest in skin care technology. This looks like such a good product! I want to give it a try now. I always balk at skin care costs. But when I read this review, $72 doesn't seem too much when it comes to caring for your skin, and the fact that with sensitive skin, I'd probably only use this once a week. It would last me a while, and feel like a treat every time I used it. We gotta splurge somewhere, might as well be on taking care of ourselves!!! I am also a little bit negative about expensive skincare because I don't believe anything can work that great. However, recently I have opened my eyes to the possibilities of good skincare. It is always nice when you can find something that works for you. I'm loving this exfoliant, too! 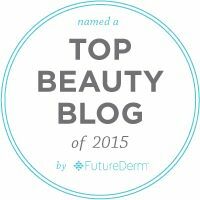 It definitely seems like this microdermabrasion product is well worth the price tag. You can't underestimate good skincare. This sounds really great! The price tag, tho... it makes me hang back. I love this stuff so much! I feel like it gives me such a good exfoliation without hurting my skin. That sounds like a great exfoliant, but my wallet winces at the cost. Not sure I could justify that one. Ohh this sounds amazing! Scary price tag though! RULE BREAKER! I've heard good things about this brand, I need to check them out! That sounds amazing. I love a nice, soft exfoliation - so important for us, ahem, mature folk, whose skin doesn't turn over as fast as the young'uns. This sounds fabulous!! I definitely want to try this out! It is fabulous. Definitely try it, I think you'll love it! They are so good. If I were in more clover, I'd buy a lot of their stuff. It's excellent! I do wish it were a little more affordable but when I run out, I'll probably angle to get more. Some things are worth the splurge! If you can, do! It's wonderful. Hey Rebel, this sounds terrific. I never thought about the difference between a polish and a scrub before. This one is superior. The results are real and they are good.